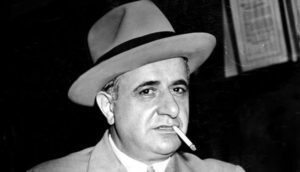 Albert Anastasia was an Italian-American mobster, hitman and crime lord, and one of the most ruthless and feared organized crime figures in United States history. 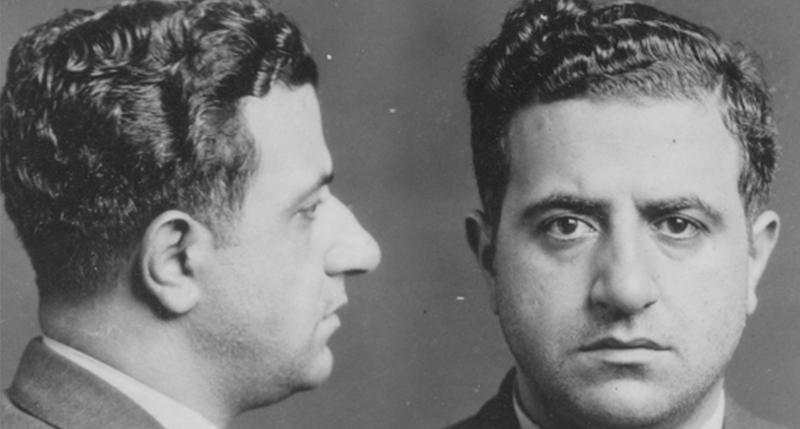 Take a look below for 30 more terrifying and bizarre facts about Albert Anastasia. 1. One of the founders of the modern American Mafia and the founder and boss of Murder, Inc., Anastasia was boss of what became the modern Gambino crime family. 2. Anastasia is considered by the FBI to be one of the deadliest criminals of all time. 3. It’s believed by the former NYPD Detective Ralph Salerno that Anastasia murdered tens of thousands of people during his reign of terror. 4. 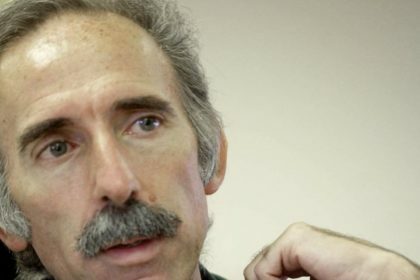 According to former FBI Assistant Director James Kallstorm, the number of people that Anastasia has killed is unquestionably in the thousands, however, the exact number is unknown. 6. Anastasia was also in control of the New York waterfront for most of his criminal career, including the dockworker unions. 7. He was born Umberto Anastasio, in Tropea, Calabria, Italy. 8. His parents were Raffaelo Anastasio and Louisa Nomina de Filippi, but the family went with his fathers surname “Anastasio” until Albert decided to use “Anastasia” in 1921. 9. Anastasia was part of a large family, having 8 brothers and 3 sisters. 10. Anastasia himself was married to Elsa Barnesi, whom he had a son by the name of Anthony Anastasia Jr. with. 11. Just a year before Prohibition hit the shores of the United States, Anastasia and three of his eight brothers arrived in New York City, where they would illegally enter the United States to begin their life of work. 12. After only being in the United States for no more than two years, Anastasia was already drawing the attention of the law and was in fact convicted of murdering longshoreman George Turino in March, 1921, after the pair had argued. 13. The penalty for the murder was death and a trip to Sing Sing State Prison, where Anastasia would sit on Death Row until his execution. 14. He somehow managed to swing a retrial for 1922, and coincidentally, the four main prosecution witnesses had disappeared in the time leading up to the newly scheduled trial. 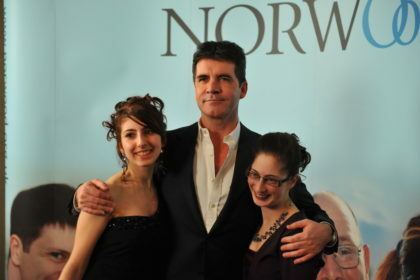 He walked free. 15. In June, 1923, he was convicted again, this time for illegal possession of a firearm, in which he would be locked away for two years. 16. By the late 1920s, Anastasia had become a top leader of the International Longshoremen’s Association, controlling six local chapters of the labor union in Brooklyn. 17. Anastasia allied himself with Giuseppe “Joe the Boss” Masseria, a powerful mafia leader in Brooklyn. 18. 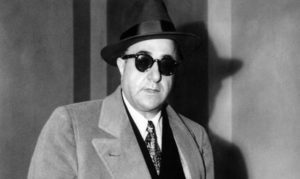 He soon became close associates with future Cosa Nostra bosses Joe Adonis, Charles “Lucky” Luciano, Vito Genovese, and Frank Costello. 19. During World War II, Anastasia reportedly conceived the plan to win a pardon for the imprisoned Luciano by helping the war effort. 20. 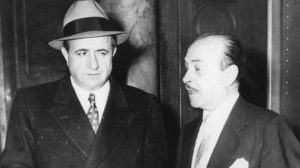 With America needing allies in Sicily to advance the invasion of Italy, and the desire of the U.S. Navy to dedicate its resources to the war, Anastasia orchestrated a deal to obtain lighter treatment and eventual parole for Luciano, in exchange for the Mafia’s protection of the waterfront and Luciano’s assistance with his associates in Sicily. 21. In 1942, Anastasia joined the U.S. Army, likely motivated by a desire to escape the criminal investigations that were dismantling Murder, Inc.
22. In 1943, as a reward for his military service, he received U.S. citizenship. 23. The following year, Anastasia was honorably discharged and moved his family to a ranch house on Bluff Road in Fort Lee, New Jersey. 24. In 1948, Anastasia bought a dress making factory in Hazleton, Pennsylvania and left his waterfront activities in the control of his brother Anthony. 25. On the morning of October 25, 1957, Anastasia entered the barber shop of the Park Sheraton Hotel, at 56th Street and 7th Avenue in Midtown Manhattan. 26. Anastasia’s driver parked the car in an underground garage and then took a walk outside, leaving him unprotected. 27. 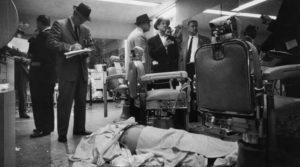 As Anastasia relaxed in the barber’s chair, two men, with scarves covering their faces, rushed in, shoved the barber out of the way, and fired at Anastasia. 28. After the first volley of bullets, Anastasia allegedly lunged at his killers. However, the stunned Anastasia had actually attacked the gunmen’s reflections in the wall mirror of the barber shop. 29. The gunmen continued firing until Anastasia finally fell dead on the floor. 30. His homicide generated a massive amount of public interest and sparked a high-profile police investigation. However, no one was charged in the case.